Dealing with change of a loved one due to memory loss can be very difficulty. Seeing your loved one go from being active and getting around like everyone else to being totally dependent on others and not remembering simple things such as familiar faces or even how to button a shirt is not something that is easy for anyone to watch. Many people are worried about how the memory loss sufferer is dealing with change, but more often than not, people forget about the person that is the caregiver. The changes and transitions can be just as difficult for the caregiver to handle. Talking about the changes that your loved one is going through can be a good outlet. You can talk to others about how you are feeling so that you don't take out your frustration or fears on your loved one. They will be going through enough without having to worry about how their illness is affecting those around them. As a caregiver, it is difficult to know that you may have to remind your loved one about all of the tasks that they need to complete or even do the tasks for them if they are unable to do them. You may even have to give them daily reminders of what the year is, who the president is or even who you are. Dealing with change like this can start to make you feel rundown. Doing research on memory loss and the best ways to deal with it can help put your mind at ease. 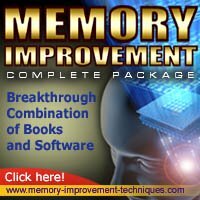 There is endless literature about the causes of memory loss and the effects on your loved one. You can read up on how their life might evolve over time and in turn, how your life might evolve as well. Understanding memory loss can help you deal with the changes and prepare you for the future. Dealing with change yourself can also put your loved one's mind at ease. Knowing that they will be taken care of and they are not a burden on friends and family may be just want they need to help them deal with what is happening. Dealing with the change instead of denying it can be the first step to decreasing the stress that goes along with being a caregiver for a person that is suffering from memory loss. Educating yourself about memory loss and talking to others can be just what you need to help your loved one get through the everyday challenges of their illness.